A mattrress built largely with natural filings and a high spring count, along with a top quality damask covering, four rows of handside stitching and pom pom tufts. 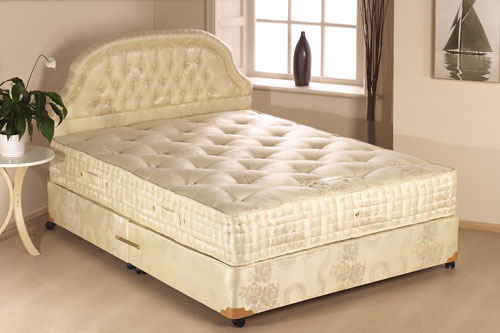 A 2000 spring twin up unit, give the mattress a support centre on which the batural filings can only enhance the feel and sleep. Six layser of filing which include cotton, hairpad, cashmere and wool.